Located in Hackensack, New Jersey, and representing clients throughout the region into New York and Pennsylvania, the Law Offices of Joseph M. Horn provides comprehensive legal services to the criminally accused. I am attorney Joseph Horn, and with more than 20 years of experience as a police officer in Mahwah, New Jersey, I possess knowledge of the tactics employed by law enforcement and the prosecution. By pairing my professional experiences in law enforcement with my skills as an attorney, I provide those facing criminal charges an added advantage when building a strong defense strategy. Having witnessed the emotional, financial and professional repercussions of arrests and convictions firsthand, I understand the numerous challenges facing individuals and families who find themselves in trouble with the law. That is why I devote my practice to protecting the rights and best interests of the people who look to me for help and legal guidance. By working one-on-one with clients, offering straightforward advice and building aggressive defense strategies that pursue the best possible outcome, I give clients professional, cost-effective representation that achieves results. With strong relationships cultivated through years of working with judges, their staffs, police officers, probation officers, prosecutors and fellow attorneys, my professional network is just another advantage I offer my clients. Whether facing DWI/DUI, federal criminal charges, juvenile matters, restraining orders, probation or parole violations or requiring an expungement, I place my clients' needs at the forefront of my methods. In matters of criminal law, preparation, experience and credibility are integral to success. As a lawyer who understands the stakes, I will put my reputation, resources and experience to work for you and your family. 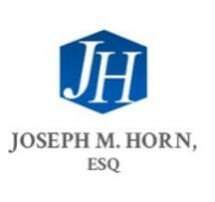 Contact the Law Offices of Joseph M. Horn to discuss your case in confidence and start building your defense strategy.